The Swift Escape 684 motorhome has 4 travelling seats with 3 point seatbelts. 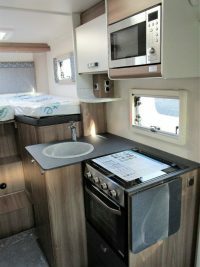 The dinette area at the front converts in to a double bed and the 2 large rear single beds can be converted to another double if required. 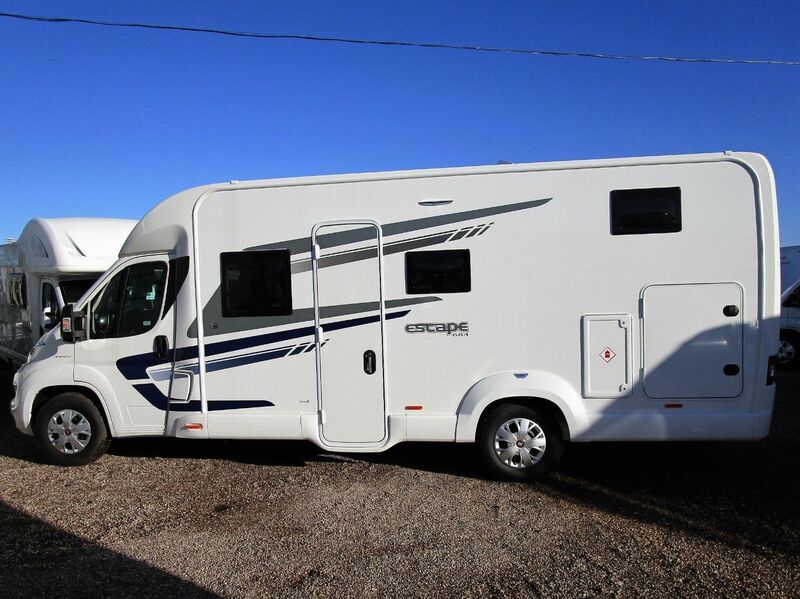 This vehicle benefits from a large rear garage – Useful for safely stowing fishing equipment, golf clubs, bikes, push chairs, wheelchairs, skiing equipment etc. 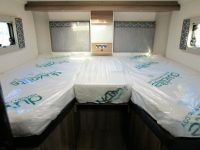 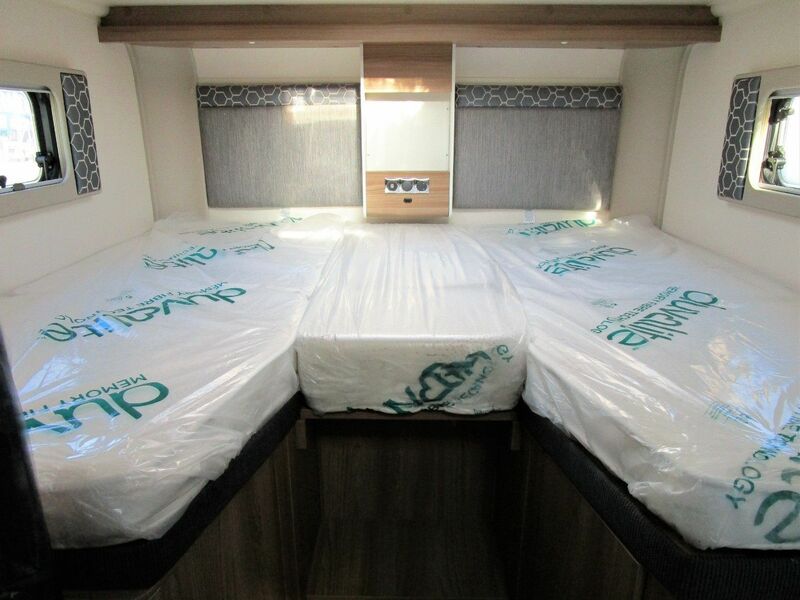 This area resides below the rear single beds, spanning the entire width of the motorhome with large doors on either side to make accessing it easy. 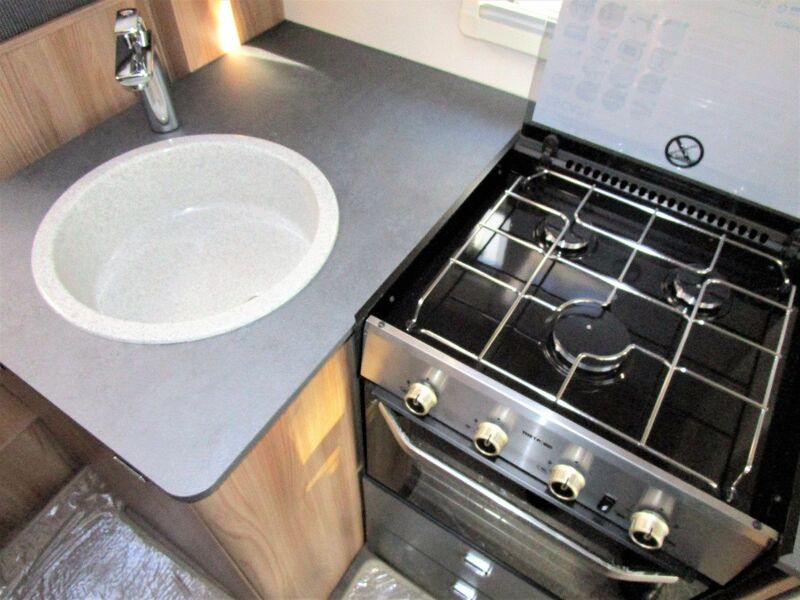 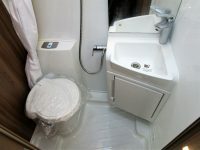 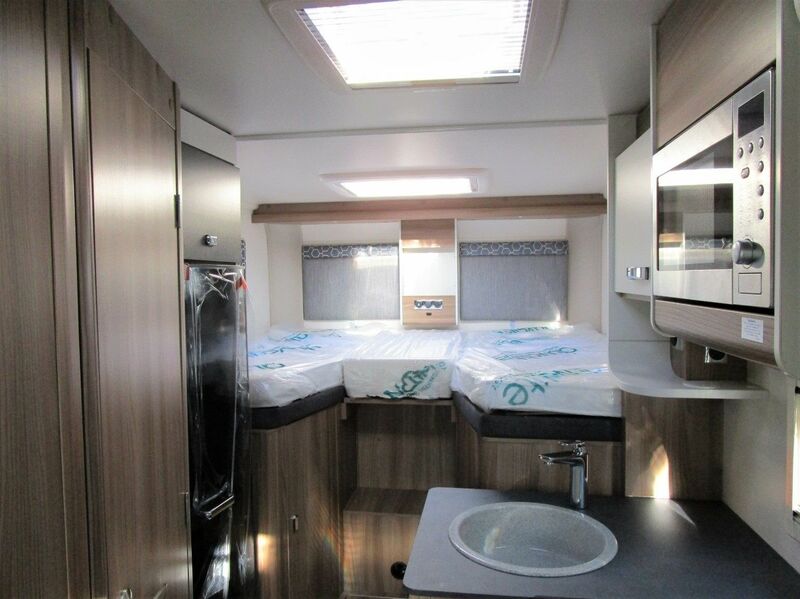 Elsewhere the motorhome also features a kitchen area with full height fridge/freezer, sink with hot and cold water, oven with gas hob and a microwave and bathroom with cassette toilet and shower. 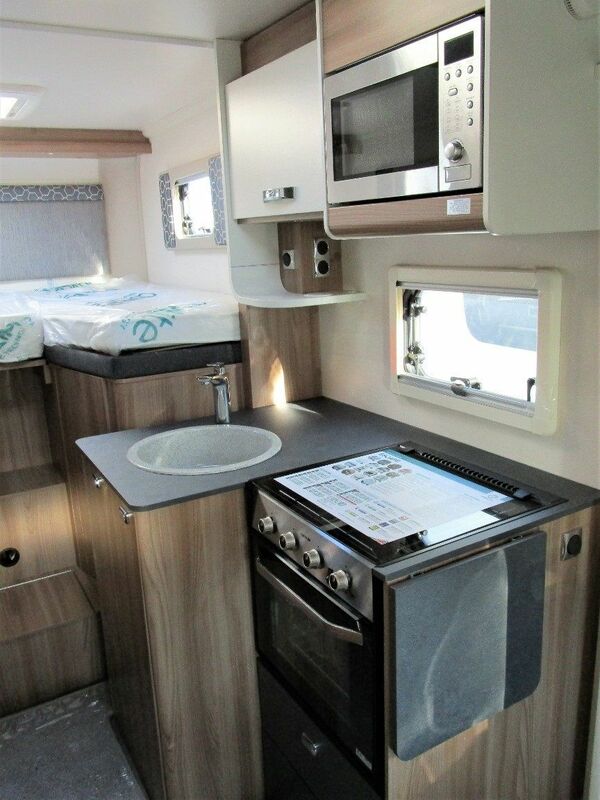 LED mood lighting, USB charging sockets, freeview TV and blown air heating will ensure that you are comfortable and entertained whatever the weather outside. 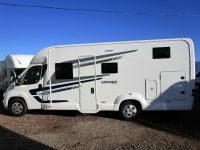 This motorhome is the perfect choice for trips with lots of luggage or bulky items / equipment due to the abundance of safe storage space.